The PAB operates its accreditation schemes in accordance with PNS ISO/IEC 17011:2004, Conformity assessment - General requirements for accreditation bodies accrediting conformity assessment bodies and the applicable IAF/PAC and ILAC/APLAC Mandatory and Guidance documents. The PAB is recognized regionally and internationally with its membership to the following organizations and a signatory to the Multilateral Recognition Arrangement (MLA) for Quality Management System (QMS) and Environmental Management System (EMS) of PAC and IAF; and Mutual Recognition Arrangement (MRA) for Testing and Calibration of APLAC and ILAC. Generally, it takes some time for an accreditation body to achieve MRA/MLA member status. Aside from complying with the documentary requirements, the accreditation body has to fully implement the accreditation programs for which it is seeking signatory status and pass the peer evaluation. The IAF is the world association of Conformity Assessment Accreditation Bodies and other bodies interested in conformity assessment in the fields of management systems, products, services, personnel and other similar programmes of conformity assessment. The ILAC is a worldwide organization for laboratories and inspection bodies to help remove technical barriers to trade. 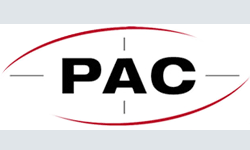 The PAC is an association of accreditation bodies and other interested parties whose objective is to facilitate trade and commerce among economies in the Asia Pacific region. The APLAC is a cooperation of accreditation bodies in the Asia Pacific region that accredit laboratories, inspection bodies and reference material producers. It is recognized by the Asia Pacific Economic Cooperation (APEC) as one of five Specialist Regional Bodies (SRBs). The ACCSQ WG2 is the working group of ASEAN focused into development of accreditation and conformity assessment technical infrastructure of member countries in line with applicable international standards and/or guidelines in order to achieve recognition by national/ regional/ international bodies.